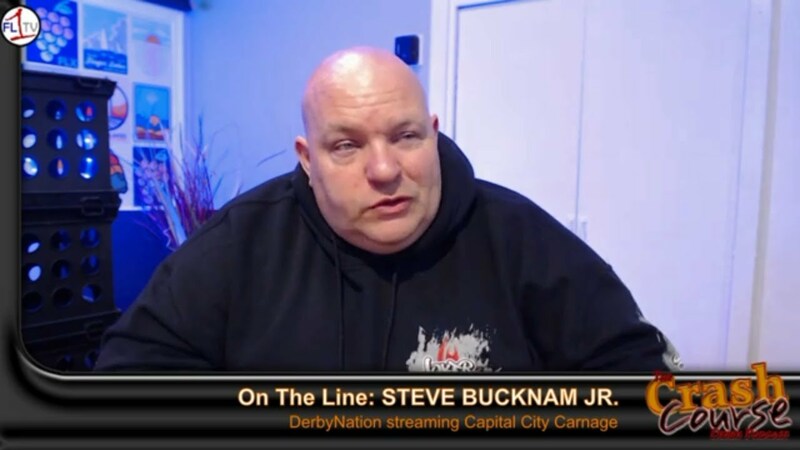 We connect with Steve Bucknam. Bucknam and Crash Course will reunite in Topeka to cover Capital City Carnage on DerbyNation. We will touch on the dynamics of Topeka, where he worked at Blizzard Bash, and his summer schedule. We shift gears to talk to JWC’s Darrell Ewing, entered in the $10,000-to-win Limited Weld Class at CCC. We were live for 2 hours at the Derby Banquet! With Mike Decker, Steve Bucknam Sr., Teri Relyea and Smashed Empire Nationals event manager Jason Butts! We recap the Redneck Rumble event with Brandon Dixon, and then check in with Crash603 regarding the livestream content offered by DerbyTees.TV from Redneck Rumble. This week, Steve Bucknam of SB Motorsports Announcing and the voice of the Keystone Nationals, comes on to discuss his summer season, upcoming trip to the carribean with Tim Dyson FMX. Then, we welcome Keystone Nationals promoter Bo Lockwood to the program via the DerbyParts.com hotline.